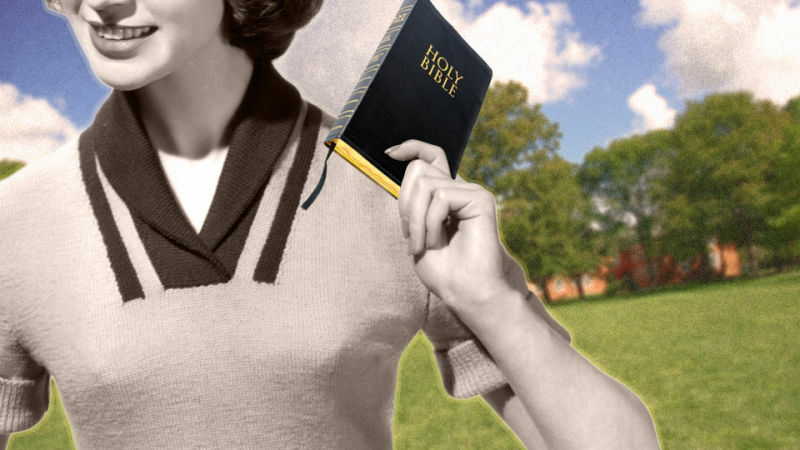 In my final year of attending a Christian sports camp in rural Missouri, the year before I started high school, they began to offer an elective Bible study group for young Christians who wanted a chance to read in the afternoons instead of learn to water-ski. The leader was a very kind, very impassioned man with a bristling chestnut mustache. He spent an hour every day for three weeks drawing the geographic conditions that led to the Flood and charting out the life spans of the Patriarchs on an old whiteboard for a group of prepubescent Christian nerds. I thought he was the most compelling person in the world. He had everything I could possibly aspire to have: a masterful command of the Bible, a deep and abiding love of God, a pleasant speaking voice, a dry-erase marker, a captivated audience.